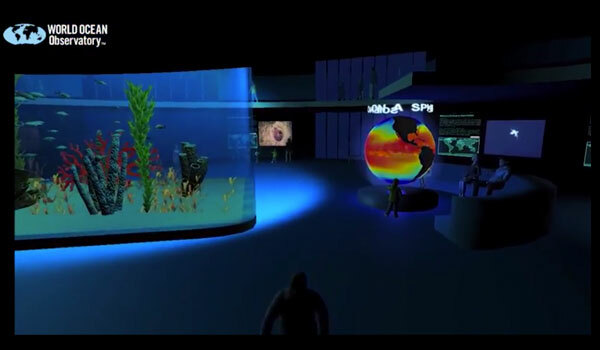 We are pleased to offer you, our subscribers, an exclusive first look at the World Ocean Aquarium. Please take a moment to enjoy this three-minute fly-through of a new dynamic, interactive place of exploration and discovery. World Ocean Aquarium is designed for those who cannot visit an aquarium or for those who wish to encounter species newly discovered or not otherwise displayed at a real aquarium. World Ocean Aquarium offers a place for learning about the vast diversity and mystery of the deep ocean, an interactive tool for learning about and understanding ocean systems, and for experiencing what it is the ocean provides for the benefit of us all. There is much, much more. Coming soon. World Ocean Observatory is pleased to partner with the Smithsonian Institution's Ocean Portal to bring you a 24-episode series to air between September and April 2017. During this time we will profile conservation actions and innovations to reduce our impacts on the planet. The Earth Optimism Series is designed to raise awareness of the Earth Optimism Summit during Earth Day weekend, April 21st through 23rd, 2017 in Washington, D.C. and around the world. Share your ideas at earthoptimism.si.edu. Join us each week on Medium.com as we blog about current ocean news and a wide range of ocean issues--from science and education to policy and exemplary people and organizations doing great things for the health of the ocean. Subscribe to the feed today. SEVENSEAS MARINE CONSERVATION & TRAVEL MAGAZINE: WHERE DOES WATER COME FROM? In the new issue of SEVENSEAS Magazine, World Ocean Observatory was invited to contribute an article about water and the importance of understanding the full spectrum of the water cycle if we are to preserve it as a precious natural resource into the future. Read the article in their October issue here today. SEVENSEAS promotes marine conservation through community engagement, online media, and eco-tourism. They pledge to preserve SEVENSEAS as a free resource for students, families, and professionals of all ages and backgrounds. Subscribe for free today. In September the W2O was invited to attend the Our Ocean Conference hosted by the U.S. State Department in Washington, D.C. During the 2-day gathering more than 4 million square km (1.5 million sq. miles) of ocean were newly pledged to protection and sustainability and more than 1 billion dollars was pledged to ocean protection, research, and the blue economy. Here we offer a full report of the various pledges, commitments, and advancements made during this annual ocean gathering. WHAT WILL YOU DO FOR THE BLUE? On August 23 a letter was sent to campaign representatives for Secretary Hillary Clinton and Mr. Donald Trump from 115 ocean leaders in business, science, conservation, and education, including World Ocean Observatory. The letter sought clarification on what the candidates will do if elected to protect public seas, the ocean economy, and to outline their policies on maritime security and coastal issues. The initial aim was to get responses by early September. Within days of the letter being sent, Secretary Clinton responded outlining her ocean policies. Those can be read in her letter here. Donald Trump has not yet responded. W2O's Peter Neill had two speaking engagements in Canada this month: he addressed the International Aquarium Congress in Vancouver, British Columbia about about the future of aquariums, and spoke on the floor of the Under Western Skies Conference in Calgary, Alberta about the importance of a healthy fresh water future. W2O is booking now for 2017 events. 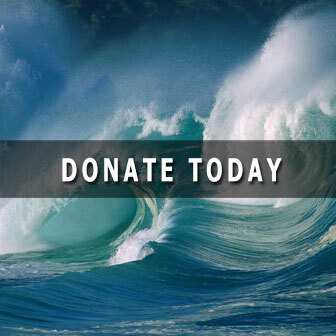 Peter Neill is available to speak from 20 minutes to an hour about why the ocean matters and the ways in which the water cycle holds the keys to humanity's survival. To request a review copy of THE ONCE AND FUTURE OCEAN, or to learn more about Peter's lecture, send an email to director@thew2o.net. 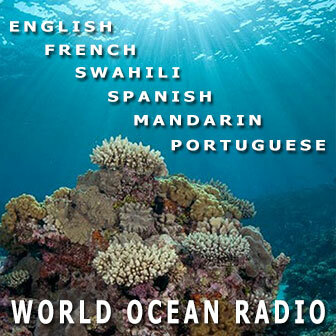 Copyright © 2016 World Ocean Observatory, All rights reserved.